· -Custody and visitation cases are not completed within the requisite time limitations. This is often a result of lengthy disputes on preliminary jurisdictional matters. It is also because of the work overload of Hungarian judges. Consequently it often take eighteen months or more for first and second instance courts to issue a final ruling. The Hungarian Supreme Court’s procedures may then take another year. · -Hungarian courts frequently misinterpret the Hague Convention’s terms, such as “habitual residence,” in favor of the taking parent. · -There is no effective procedure within Hungary to enforce court custody orders. Pursuant to the governing Hungarian legislation, the enforcement of final and effective judicial custody and visitation decisions is not within the competence of the court handling the Hague case. The body that is responsible for enforcement cases is the local “Custody Authority.” The Custody Authorities do not have sufficient coercive power and their procedure is slow and inefficient. As a result, even a favorable Hague decision is often completely futile because it is not enforced. · - It typically happens that if, as and when enforcement is finally employed, the taking parent cannot be found. The “bailiff” cannot issue a search warrant with criminal consequences but merely reports the matter to the police. 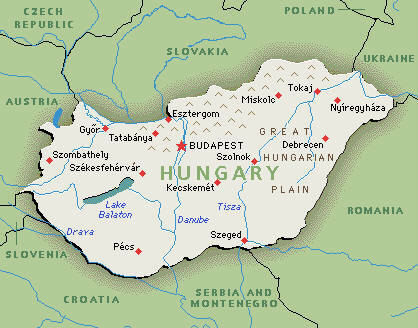 · -Hungary will not recognize and enforce foreign custody orders. · -The passage of time in such circumstances typically leads to the child becoming well integrated into the new environment, which helps to create new defenses for the taking parent. · - It is common for the taking parent to successfully preclude the left-behind parent from having any contact with the child during the lengthy court proceedings, thereby enabling a psychologist to subsequently declare that there would be a “grave risk” of harm to the child if the child were sent back to the former residence, especially if tha taking parent were not to accompany the child. In the Shaw case the European Court of Human Rights ruled that Hungary had violated its obligations under the European Convention on Human Rights by failing to diligently process a Hague case brought by an Irish father to secure the return of his child from Hungary to France, where they lived, following the parents’ divorce. A court in Pest, Hungary ordered the child’s return and two appeal courts upheld the return order. The local bailiff twice unsuccessfully called on the mother to comply voluntarily with the court’s order. Meanwhile, a French court issued a European arrest warrant for the mother for the offence of change of custody of a minor. She was then arrested in Hungary but was promptly released by the Budapest regional court on the ground that similar proceedings were pending before a Hungarian court. The mother then disappeared with the child and has not been located. The Hungarian government claimed that it had had done everything possible to ensure the child’s return to her habitual place of residence, but the absconding of the mother with the child had temporarily prevented the authorities from taking further measures. In its judgment, the Court noted that 31 weeks had elapsed since the first claim before the Hungarian courts and their final decision, contrary to the obligation under the Hague Convention to issue a judgment within six weeks. It found that that alone amounted to a violation of the Hungarian state’s obligations under the Convention. Finding that the Hungarian state had violated the father’s rights to family life, the Court ordered the payment of €20,000 for the anguish and distress he had suffered as a result of the insufficient measures taken by the Hungarian authorities and awarded €12,000 for legal and related expenses.